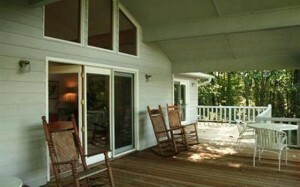 When it comes to selling homes in Highlands NC, windows matter. Prepping a home for sale involves a lot of elbow grease. There is typically plenty of cleaning and de-cluttering to be done. The idea behind getting your home ready is that it should absolutely look its best for potential buyers, enticing them to want to spend more time in your home. The cleaner and more organized your home appears the more likely potential buyers will want to linger. Windows are an important part of a home and they should be cleaned prior to listing your home on the market. There are window cleaners available in the Highlands area that can be hired to ensure that your windows sparkle. It is essential that in addition to the glass being cleaned on the inside as well as the outside that the screens be cleaned as well. Buyers of homes in Highlands NC are hoping to have great views and dirty windows will be a turn-off. Contact me, Lynn Kimball, today to learn more about selling Highlands real estate. My knowledge and experience can work to your advantage to get your home sold in a timely manner. I know Highlands NC and I know Highlands real estate. Click here to read “Simple Tips for Better Home Showings” from REALTOR Magazine.